Our magic eight ball’s best bets. Normally, Sony’s lineup of games for PS+’ Instant Games Collection contains one ‘bigger’ game that headlines the rest of them. As the PS3 and Vita start to fade further into the background, it’s likely that 2017 will start to see the rise of bigger PS4 games featuring in monthly lineups, and January will just be the start. January 2017 has two candidates for its bigger free PS+ game. 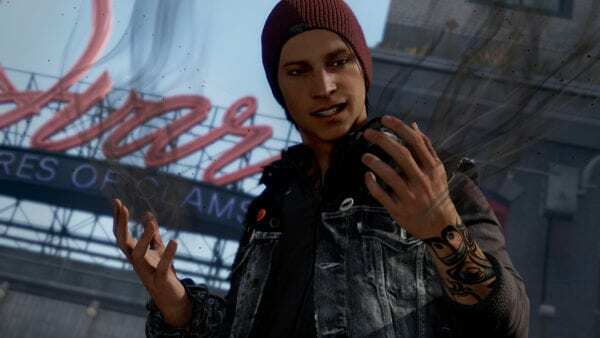 We predict that you could get your hands on Sucker Punch’s 2014 action-adventure game, InFamous Second Son. Considering we’ve already had the story DLC, First Light, as a PS+ free game before, it seems right that we’d eventually be offered the full experience for free. On top of that, Second Son was one of the oldest games that received a patch to make use of the PS4 Pro’s additional power. If Sony wants to truly showcase what its new console can do, the best way it can do so is by making the games that make use of the additional horsepower more accessible to owners. Alternatively, Sony may opt to throw its family-friendly 2016 hit Ratchet and Clank, up for free to PS+ subscribers. Considering the game offers enjoyable gameplay for all ages, as well as releasing at a ‘budget’ price, the game seems like a prime candidate for January’s offering. Ratchet and Clank was another game that received PS4 Pro support, too, providing further incentive for Sony to offer it and showcase just what its new hardware is capable of.